Despite only entering the market in 2012, this operator has quickly built up a reputation for excellence. From its headquarters in Malta, LeoVegas has not only acquired all the necessary gaming licenses to offer its services around the world, it has won multiple awards. In fact since 2013, EGR has recognised LeoVegas's talents every year. Indeed, in 2017 the company won an EGR Nordics award to go along with 2016's 'Casino and Mobile Casino Operator of the Year'. Basically, if you're looking for a fresh-faced, modern online casino that's already established itself as an industry leader, then you need look no further than LeoVegas! As we've said, entering the iGaming industry late hasn't affected LeoVegas' ability to win over players and critics, and part of this recipe for success has been its relationships with the top developers. When it comes to offering online casino games, particularly slots, diversity is crucial – which is why every partnership counts. From backend assistance to software deals, every top operator needs to build a strong stable of partners in order to thrive. This idea hasn't been lost on the guys behind LeoVegas as you'll currently find more than 560 online slots crammed into a single lobby courtesy of the best software providers in the business. From Playtech and Microgaming to Net Entertainment, NextGen, IGT and even Yggdrasil, LeoVegas has the top slots from virtually every iGaming software house. When it comes to site navigation and usability, there is only one word to describe LeoVegas: mobile. In line with the latest iGaming trends, LeoVegas has tailored its online platform to function more like a mobile app than a desktop site. From the moment you land on the homepage, simple tabs and bold game boxes make everything feel vibrant yet easily accessible. In fact, such is the prowess of the LeoVegas interface that it won the EGR Innovation Award in 2013 and 2014 for its overall user experience. Perhaps the best example of LeoVegas' commitment to creating a mobile-style interface that's easy to navigate are the sliding pages. 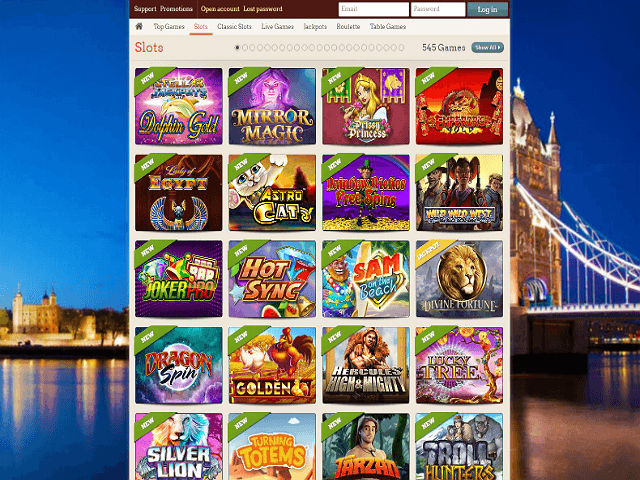 Unlike some online slots sites that force you to embark on what seems like a never-ending move down the page, LeoVegas allows you to slide from window-to-window. For example, after you've clicked on the "slots" lobby at the top of the page, you'll be shown a window containing around 24 slots. Once you've scanned these options, you can click the arrow on the right of the page to scroll across to a new window. For mobile slots players, this process of moving from left-to-right and back again will be very natural. Although you can't technically swipe the screen, the way the interface glides as you click the arrow is reminiscent of this movement and certainly speeds up the search process. When it comes to slot games, there aren't many sites that can match LeoVegas in terms of volume. Thanks to more than 20 software partnerships, this casino has slot titles that will suit just about everyone. From classic options to an ever-growing selection of video and jackpot slots, LeoVegas has covered every possible base. Indeed, when you scroll through the 560+ games available, you'll find all the most popular slot titles available to date. Does LeoVegas Casino Offer Progressive Jackpot Slots? With more than 560 online slots, LeoVegas has placed its biggest money spinners in a special "progressive jackpots" lobby. In total, you'll find more than 20 of the leading progressive slots lurking inside this section of the site. From MegaJackpots branded games to standalone slots, there's upwards of €10 million on offer at any one time when you scroll through the progressive jackpots lobby. 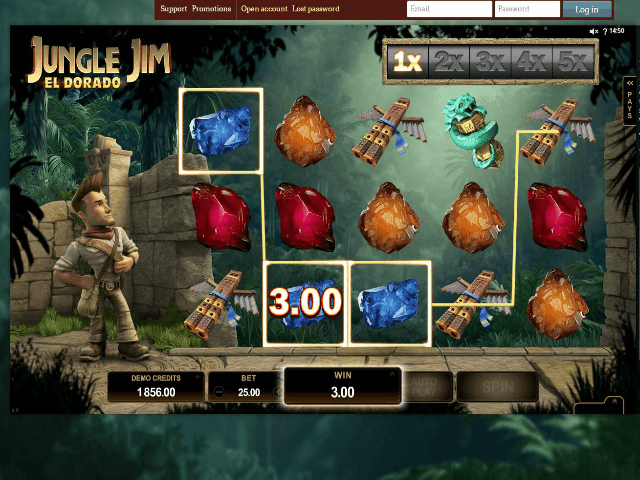 Can Players Demo LeoVegas Slot Games for Free? 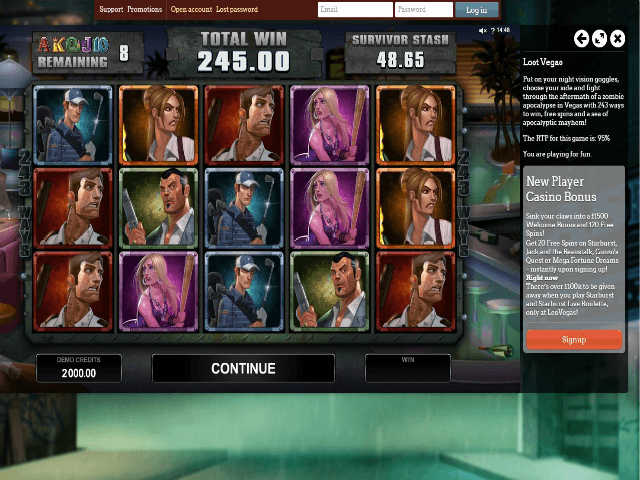 One of the best things about the LeoVegas slots lobby is that you don't have to be a member of the site to try out the top games. Every non-progressive game is available as a demo slot and all you have to do to play is click on the "try game" option. Having access to more than 500 free slots is naturally a great way to learn the nuances of the genre. However, it's also a fantastic way to have a good time. Although making money is great, LeoVegas is all about having fun and thanks to its selection of demo slot games, you can spin your way through some of the best games in the industry without spending a penny. Of course, once you're ready to transition from free slot games to the real thing, you'll need an account so you can quickly make the switch. OK, so you've tested out the free slots, found a few you liked and you're the proud owner of a new account: how do you get some money online so you can spin in the wins? Making a casino deposit at LeoVegas is a fairly simple process. Once you've chosen your preferred payment method, depositing takes less than a few minutes and, importantly, there are no fees. When you want to reap the benefit of your efforts, you'll need to request a casino withdrawal. This stage of the process is a little more involved as you'll have to first prove your identity by emailing two forms of ID (one photographic) to the support team. Once you're account has been verified, withdrawing your funds is a simple matter of choosing one of the Irish payment methods and hitting Request. All withdrawals that meet the €20 minimum limit will have no costs (although more than three withdrawals in a 30-day period will incur a fee) and Irish players can choose one of the following banking methods: Visa, MasterCard, PayPal, NETELLER, Skrill and Paysafecard. When it comes to bagging a casino bonus, LeoVegas has the perfect deal for slots players. Before you even start claiming loyalty promotions and bonus offers, LeoVegas will give you 20 free spins just for creating your first account. Once you've exhausted this bonus, you'll be able to claim as much as €1,500 in bonus cash as well as an extra 125 free spins over the course of four deposits. This exclusive slots bonus is not only one of the biggest in the industry, but a chance for Irish players to try the best LeoVegas slots without busting their bankroll. If fairness and security are a concern of yours then fear not, because LeoVegas has all the right ticks in all the right boxes. In addition to receiving an official iGaming licence from the UK Gambling Commission, every LeoVegas game is certified as safe and fair by eCOGRA. On top of this approval from a variety of third-party regulators, LeoVegas also keeps your details secure by using 2048-bit SSL encryption. To complement this wealth of regulation-standard security features, LeoVegas has a customer support team that's ready to handle any and all enquiries. Available all hours of the day and night, this team of expert customer service agents can be contacted in the following ways: Email, Live Chat, and Telephone.